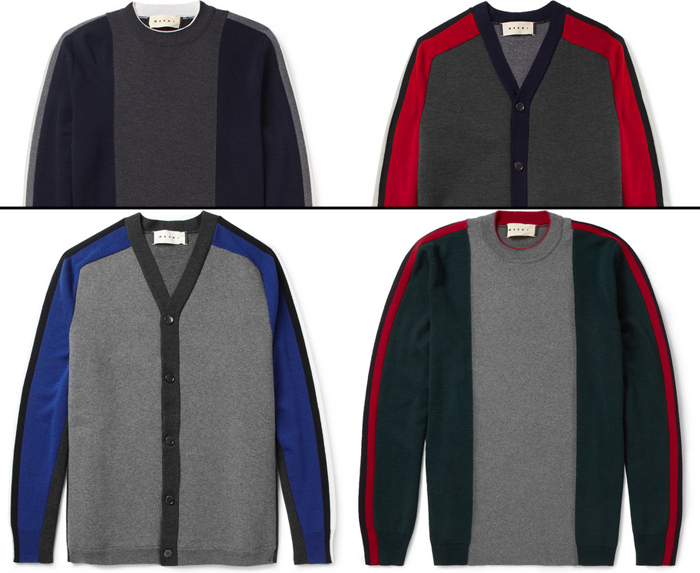 Today Mr Porter unveils their latest exclusive capsule collection, this time with Marni. The collection constsists on six pieces – a crew-neck jumper, a cardigan and a backpack in two colour variations. One with dashes of blue and one of red. The inspiration is, of course, found in the 70's. More specifically in sport kits – think of a sporty style from the slopes translated into après-ski. My personal favourites are the jumpers – the one with the red! – but I love how all the pieces are at once modern, timeless and so very Marni. Shop the whole collection here.